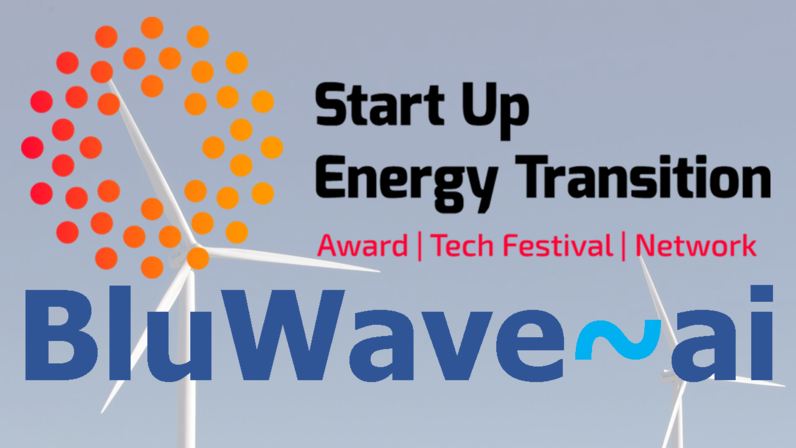 BluWave-ai is honoured to be recognized by Startup Energy Transition (SET) as a Top 100 finalist in the Intelligent Grids category, the only North American company to receive this prestigious designation. The Ottawa, Canada based company, which already has deployments on three continents and is working with such energy innovators as Tata Power, Hydro Ottawa, and Natural Resources Canada, will be meeting with prospective clients and investors in the Canadian Pavilion at Tuesday’s TechFestival in Berlin, sponsored by SET. BluWave-ai’s grid energy optimization platform balances the cost, availability, and reliability of different energy sources - renewable and non-renewable - with energy demand in real-time. The company is focused on supporting distribution utility, enterprise, mining, campus, net zero community, and remote/off-grid clients. BluWave-ai operates at the intersection of power systems engineering, machine learning, control and optimization to deliver an advanced SaaS-based platform for modern power and energy systems. The company’s grid energy optimization platform, which consists of BluWave-ai Edge and BluWave-ai Center, operates in either the public or private cloud. BluWave-ai Edge connects to IoT sensors and meters, using historical and real-time data to provide AI assisted optimization of local energy generation and storage. BluWave-ai Center manages multiple BluWave-ai Edge locations, applying machine learning with new data to continuously adapt and improve the AI models used by BluWave-ai Edge to predict, optimize, and dispatch control. BluWave-ai will be at the Canadian Pavilion at SET’s TechFestival in Berlin, Germany on April 9th. BluWave-ai uses artificial intelligence to put the smart in smart grid. Our machine learning platform balances the cost, availability, and reliability of different energy sources - renewable and non-renewable - with energy demand in real-time. We let utilities, enterprises, remote communities, and governments optimize their energy decisions for sustainability, reliability, and affordability. BluWave-ai is pleased to work with innovators in the energy industry including Tata Power, Hydro Ottawa, and Natural Resources Canada to realize a greener, more sustainable grid for all.